With 12 Olympic Medals (8 Gold and 4 Silver) and 38 World Championship medals (28 Gold, 6 Silver and 4 Bronze) between 1978 and 2005, further justification seems a little unnecessary. 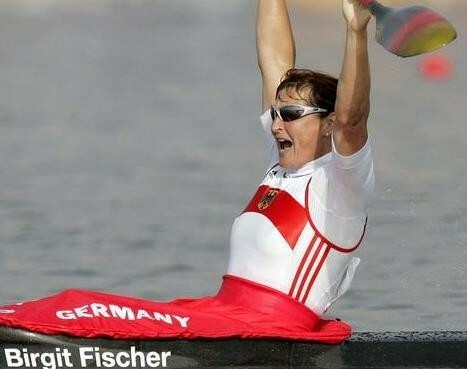 She attend 6 Olympic Games, missing the 1984 Los Angeles games due to East Germany boycotting the event. However from 1981 through to 1987 she took clean sweeps at all World Championship events, her Olympic medal tally could have easily been higher. She is both the youngest and oldest Olympic Canoeing Champion (aged 18 and 42). In 2004 she was voted German sportswoman of the year.